In the market for a retro style wedding? Look no farther! 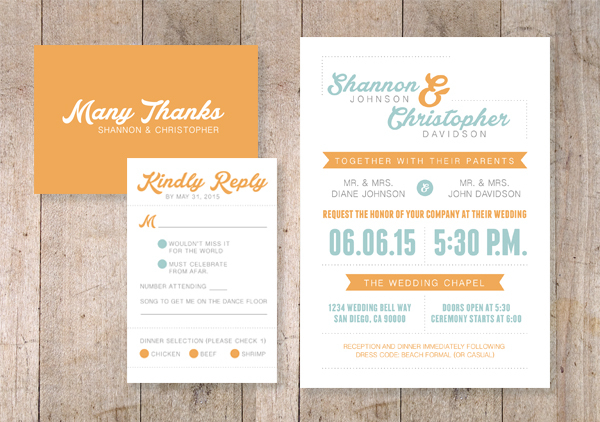 This orange and blue wedding invitation suite can be adjusted to fit your wedding colors. 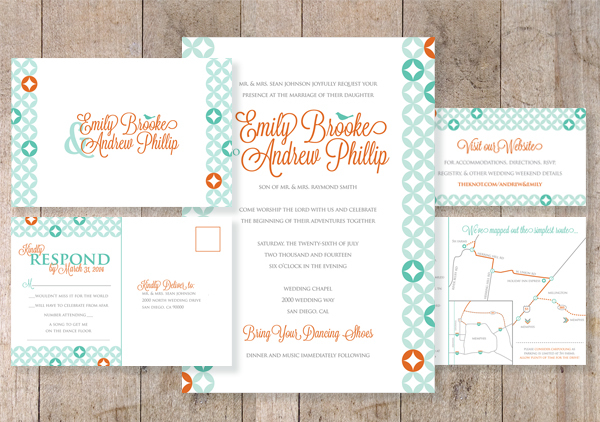 Additional pieces can be designed for this suite as well including Save the Date Cards, Place Cards, Table Number Cards, Wedding Shower Invitations, and pretty much anything you can think of! Having an autumn wedding and looking for a vintage suite to go along with your dream wedding? This suite includes several pieces and even more can be designed! 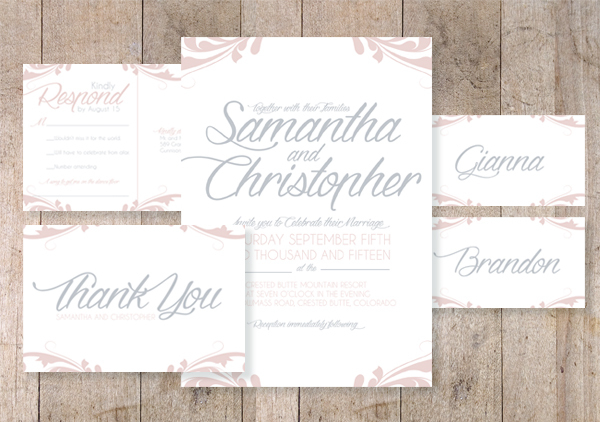 The colors can be adjusted to match your wedding colors, and the font can be adjusted as well if you like! 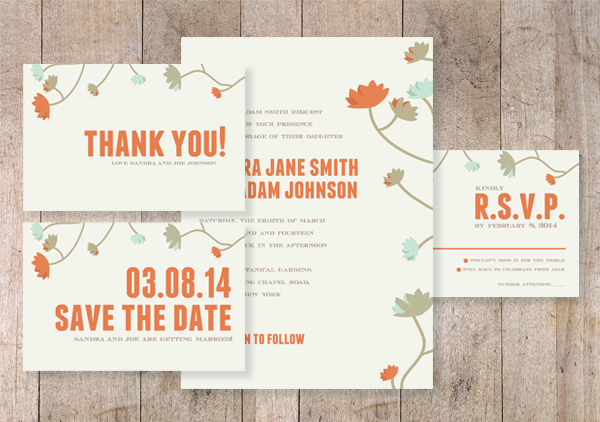 This watercolor wedding invitation set will leave your guests drooling. Spring, Summer, Autumn, Winter, the colors can be changed to match any season or wedding palette. Additional pieces can be designed to match this suite as well! 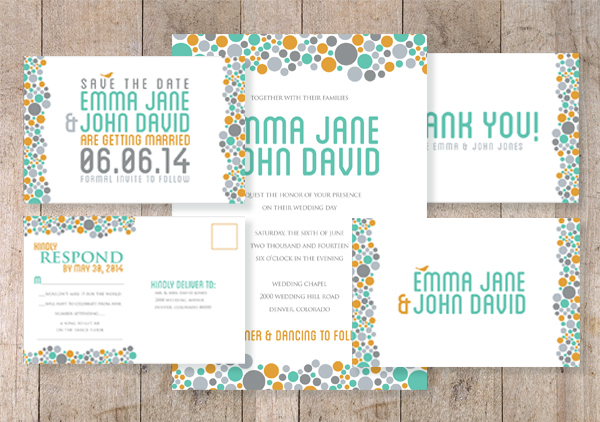 Looking for a modern wedding invitation set that reflects your style and overall wedding theme? Look no further! 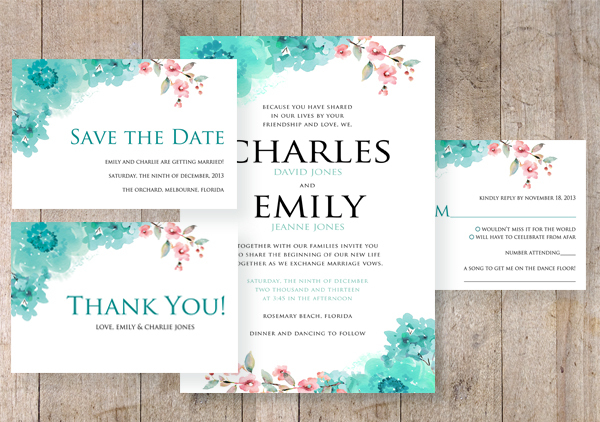 The colors of this wedding stationery suite can be changed to match your wedding color palette, or any season of the year.